It’s no secret that in today’s economy, small business owners are facing an uphill challenge, one that tests their abilities and mental toughness as they seek to begin building business credit. Recent studies only serve to highlight some of these difficulties. For example, a 2012 survey by the American Sustainable Business Council indicated that roughly 90 percent of small business owners say gaining access to loans and business credit cards is a problem, with a majority reporting conditions have only worsened in recent years. This challenge is compounded by the fact that, for many of these individuals, the business credit they are hoping to garner is being obtained on the strength of their personal financial history, as a majority of small business owners use personal credit to grow their business and advance their careers. But, while the problem of establishing business credit and the need for fixing bad credit may lay in plain sight, the solution to this predicament can be harder for today’s business owners to find. However, the answer often comes when small business owners are able to form valuable partnerships that can help them gain the business credit score help they need to better appeal to financial institutions and lenders. At the Credit Repair Law Firm Chartered, our hardworking representatives help separate us from the other professional credit repair alternatives on the market. Our Certified Business Credit Coaches can guide you step by step as you look to improve your credit prospects, garner lower interest rates on borrowing and gain easier access to approvals. Through our customer-friendly Business Credit Development Platform, you can keep track of your progress as you take these essential steps toward business credit results with our helpful team of experts. We are so confident in our system that we offer unprecedented guarantees to our customers. This includes a promise that, after the initial six months of our service, you will be extended up to $50,000 in business credit. If we fail to meet this goal, we offer added security by extending your services at no cost until you achieve results. 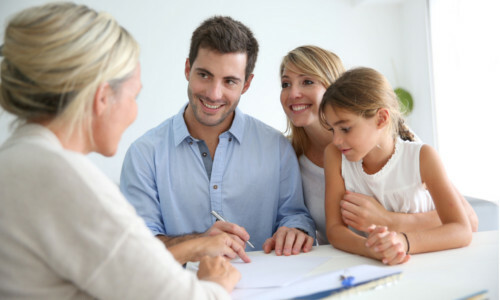 With roughly a decade of experience in this industry, our team of business credit debt lawyers and consumer advocates have been able to garner respect while also maintaining a family feel. We strive to treat our clients with compassion, offering them a valuable helping hand as they look to gain the competitive edge in today’s market. To begin your road to fiscal growth, credit restoration and improved financing access, contact our representatives today at 1-877-733-2733 for more information or click below to fill out our online request form. There are three major companies that collect business information and publish it. These are Dun & Bradstreet, Experian, and Business Equifax. D&B is by far the largest, but the other two a..
Our team also includes Business Credit Advisors that will assist you with all aspects of business credit building. Your Business Credit Advisor will assist with helping you navigate our award winn..
Business Owners - Did you Know? 1. Why Open a Business Bank Account? It is essential that a business owner separate his personal and business banking. This is critical in running a successful business. One of the major finan..
Business credit lines are used by most successful businesses on a monthly basis. This video article will explain how to utilize your business credit lines to maximize the best scenarios for additi..